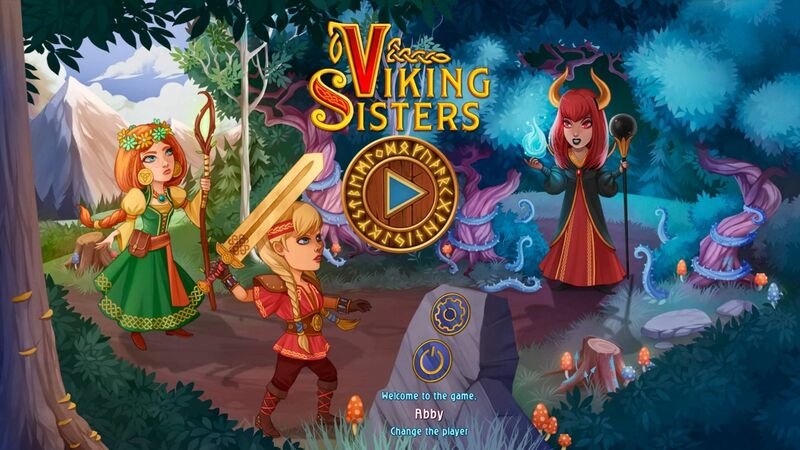 As you may have read in past game reviews, I do adore the Viking Brothers games so when I saw that they released a new game called Viking Sisters, I was super pumped to see these tough ladies in action! Viking Sisters, Brunhilda the warrior and Helga the Druid, were celebrating with their dear men folk after yet another victorious campaign against evil. Everything was going great until it came time to clean up, and being the typical men that they were, when chores were to be done, they were nowhere to be found. Okay… I’m not caring too much for this story so far… are all the Viking Sisters going to do is wash the dishes and clean up after their menfolk? Because if that’s the case then I am so OUT. Despite my fears though, the storyline progresses to something more perilous than dirty dishes as the Viking Sisters find their men turned into stone statues by an evil sorceress. Now, it’s up to them to track down this evil doer in her tracks. But they’ll need the goddess Freya’s help as well as the power of two magical weapons that can penetrate the dark magic of this witch. 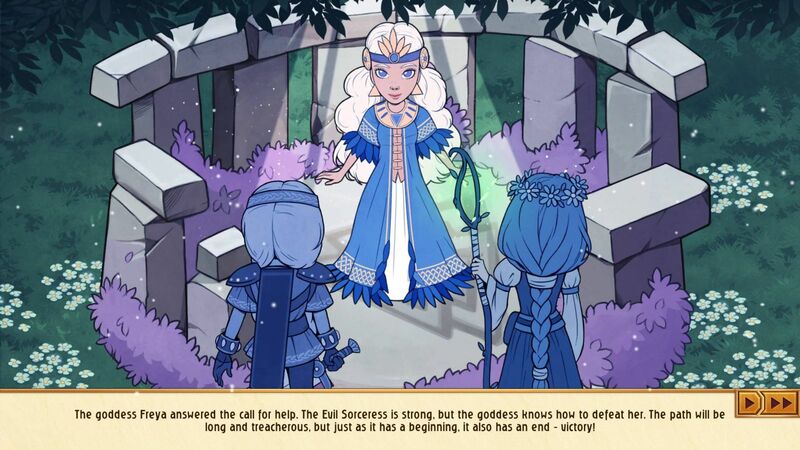 The graphics of Viking Sisters was exactly what I have come to expect from the Viking Brothers franchise - highly detailed, adorable even, and just really pretty, a level above most resource management games. 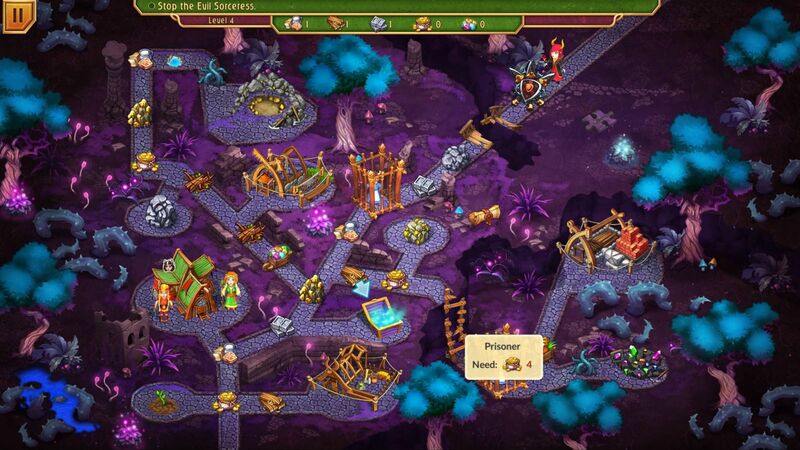 I loved the shimmering gem piles and the detailed cobblestones of the pathways. The colors were lovely splashes of purple and blue mixed with some vivid greens. It definitely painted a beautiful picture of a fantasy world where dwarves and magic roamed the land freely. The girls themselves were nicely detailed as well in the upclose cut scenes or portait shots of them. You keep see the wide spread of freckles on the Brunhilda's face and the intricate details on Helga's dress and jewlery. I know it doesn't really add much to the game in terms of playing, but it's nice to see that the parts that help keep the story moving were given as much attention to as the gameplay. The music and sounds of Viking Sisters was probably one of my favorite parts of the game. I enjoyed the wild thrumming of the drums mixed with the lilting sounds of a flute and violin. Definitely music that should accompany Viking lasses on an adventure. 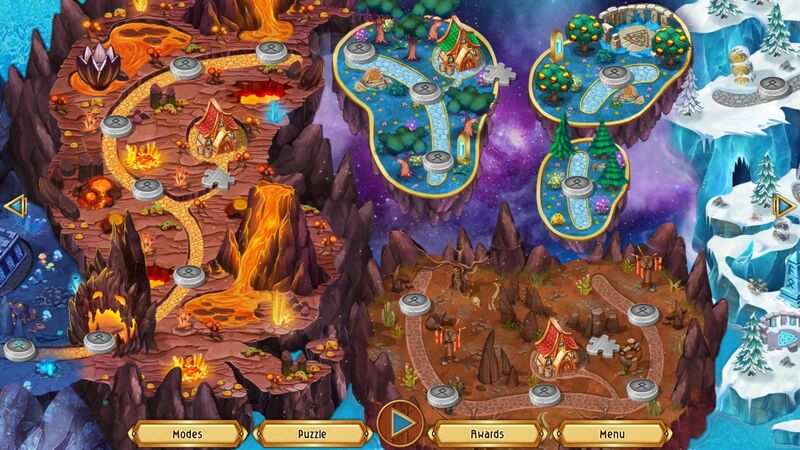 Viking Sisters can be played in three different game styles. 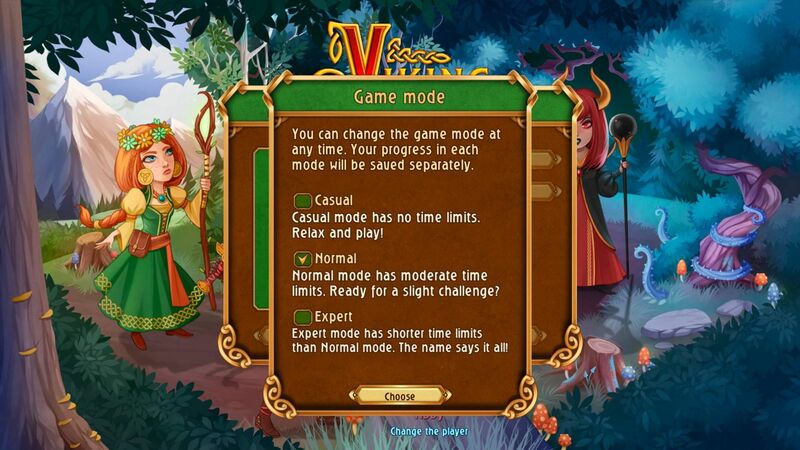 Casual, which has no time limits and allows you to just play along and enjoy the overall experience, Normal mode, which has your typical time limits, and of course, Expert Mode, which will have you racing to earn your 3 gold stars on each level. 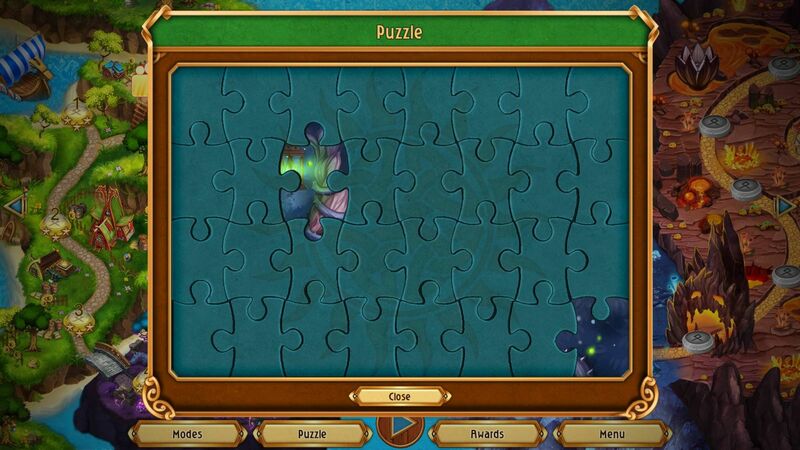 There are 31 puzzle pieces scattered throughout the levels of the game for you to search for. So while you're clicking away and issuing orders to your viking wenches, remember to keep your eyes pealed for these pieces. This can be kind of challenging to remember to look for, especially when you're busy on a particularly difficult level. Good thing you can go back and replay levels so you can be sure to find all the pieces of the puzzle. 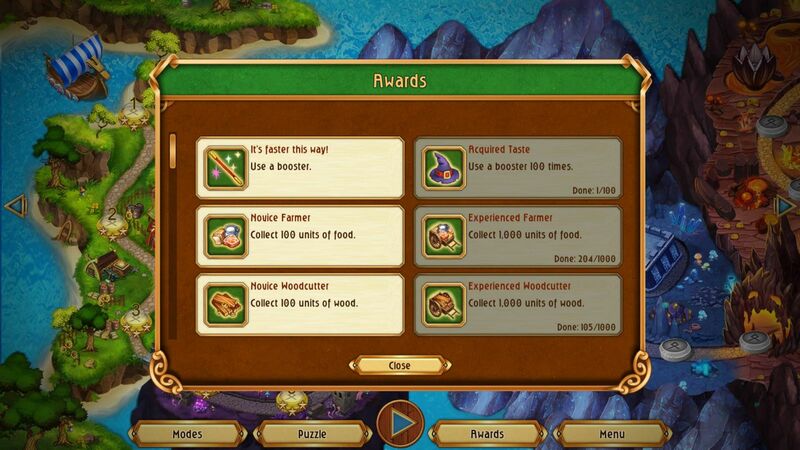 There are also Awards to collect as you play the game, most are simple and straightforward and you can achieve them by simply playing along, but there are a few challening ones that you might have to replay levels in order to collect them all. Overall, Viking Sisters was a blast to play and I was sad when the free trial was over. So much so that I had to make myself feel better right away by buying the game. So now I know what I'm doing for the rest of the day. 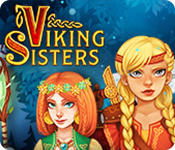 If you want to give the game a try, you can play Viking Sisters for free for up to 60 minutes by clicking on the button above.